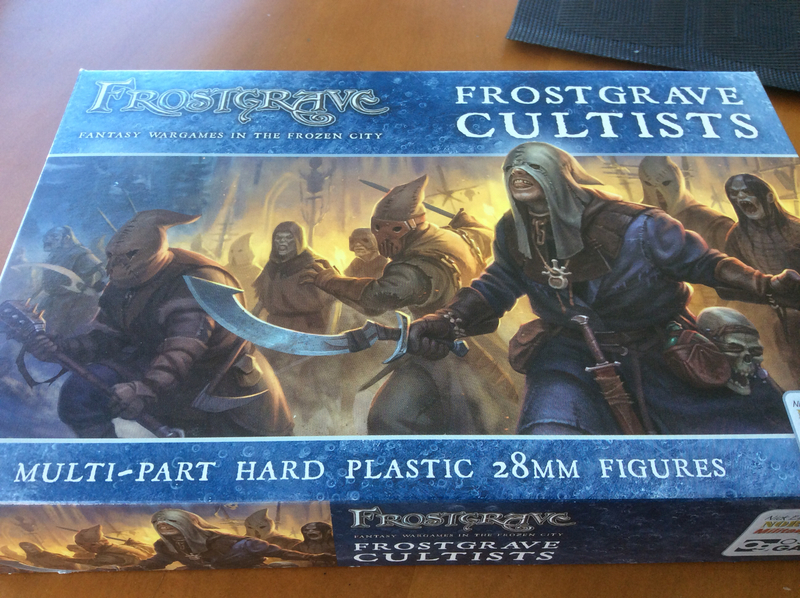 Inspired by pictures of Paul Welsh's Varanngur army on the KOW Fanatics Facebook page, I picked up a box of the Frostgrave Cultists from Mighty Ape. 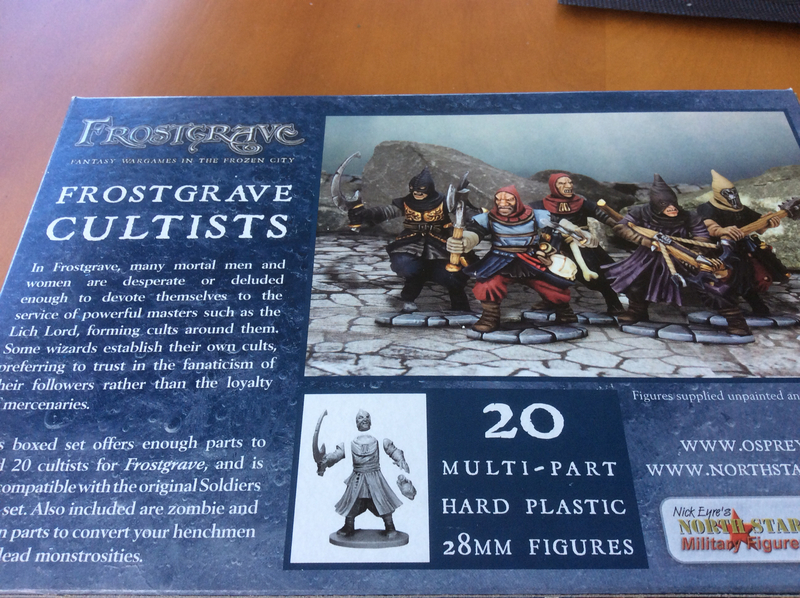 These figures are made by Osprey/Northstar and come in a box of 20 multipart plastic figures. 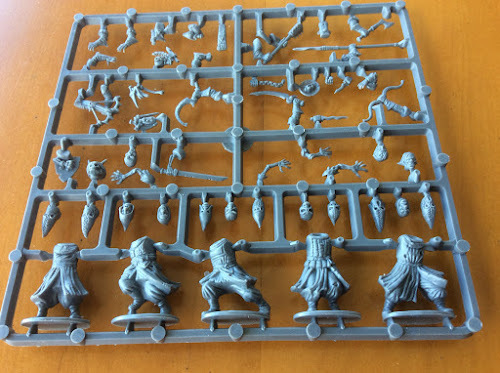 In the box you get four identical sprues each with of which will make five figures. 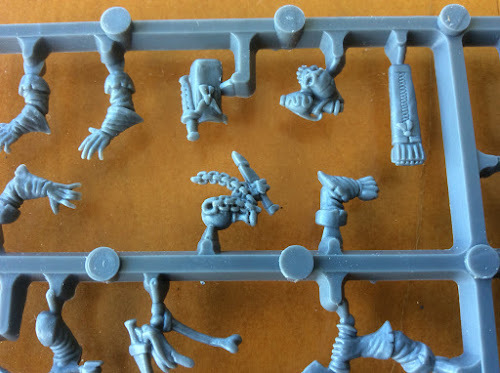 You can see that there are five bodies - single part legs and torsos and then a multitude of heads, arms, weapons etc to customise them. The models are a hard plastic - somewhere between GW and Mantic. IMO the detail is "softer" than GW but better than most other plastics on the market. There is minimal flash, few real mould lines and the figures are easily clipped and cleaned up. Also included are extra "trinkets" to customise your models further. 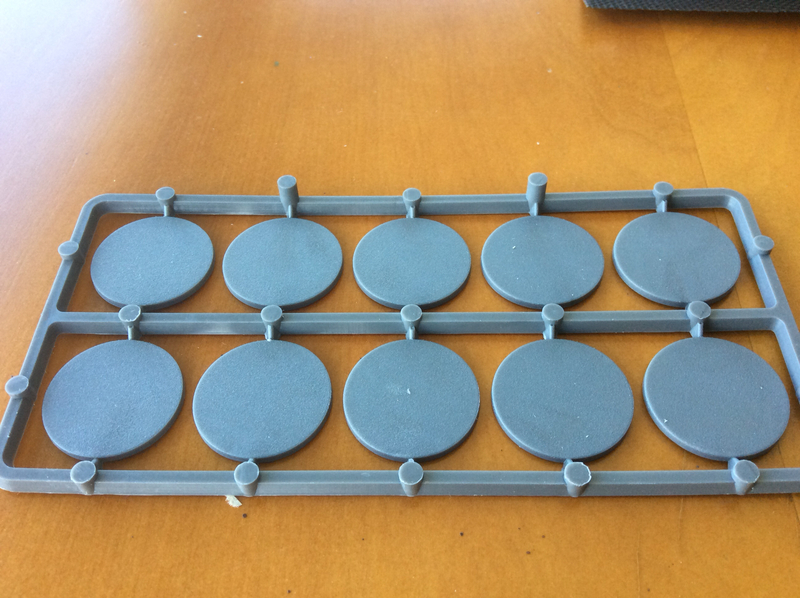 There are two sprues of bases included if you'd like to use them in round base games. 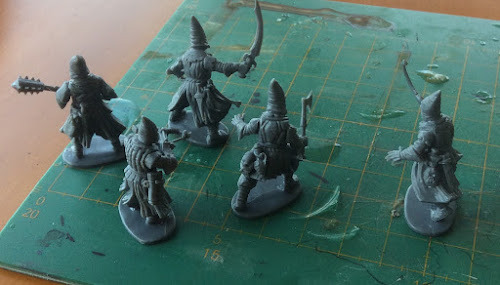 Here is a set of models I made up to check the fit. They went together really easily with the ability to interchange all the piece so that you don't end with repetitions of the same pose if you don't want that. The back few shows how seamless it was to add the trinkets to give your unit more personality. One of the really great features of the box is how packed the sprue is. 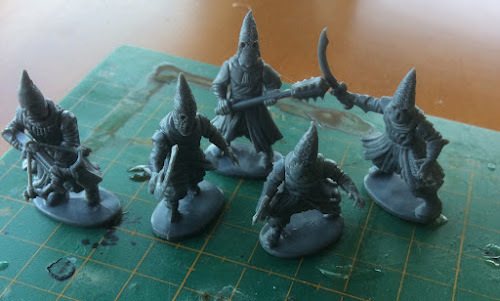 I chose to go with a selection of hooded heads on the models I constructed but also included are bare heads, heads with hats and even zombie heads. Similarly with arms, there are human and ravaged versions. I understand that the kit's parts are completely interchangeable with the standard soldier and other Frostgrave kits. This makes them very good value indeed. 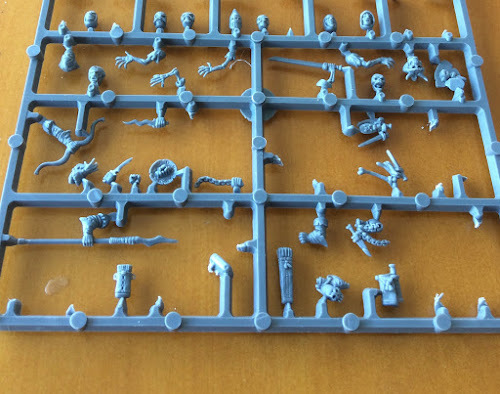 Below are the pieces I had still left on the sprue when I had made my five models. The thing I most like about this kit is how useful it would be for a multit of Kings of War armies. I intend using mine in a Night Stalker army but I could see how you could use them in Varanngur, Kingdoms of Men, The Brotherhood, Abyssals, Abyssal Dwarfs, Undead etc. All in all I think that this is a great kit and great value. I'm itching now to get them painted up. I agree those are some very nice models. They have sufficient detail to allow a good paint job. 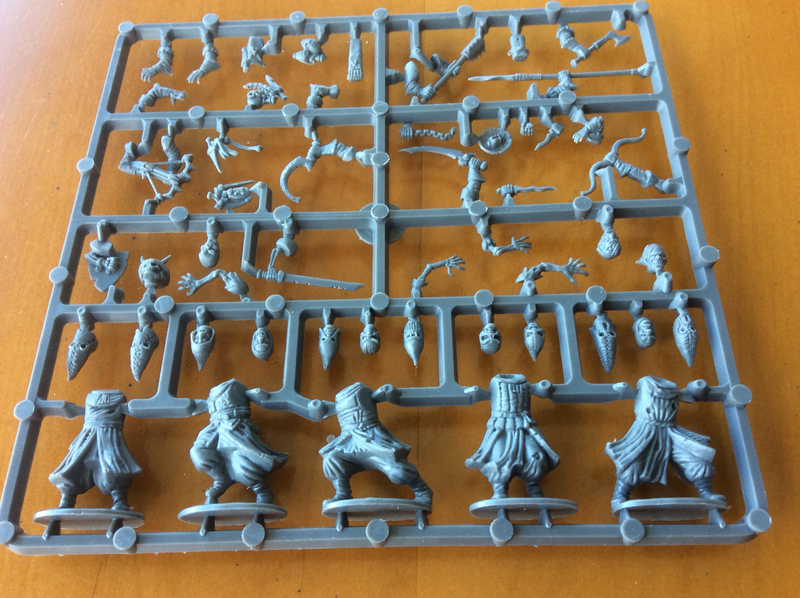 You can also interchange the parts with the Gnoll and barbarian boxed sets. 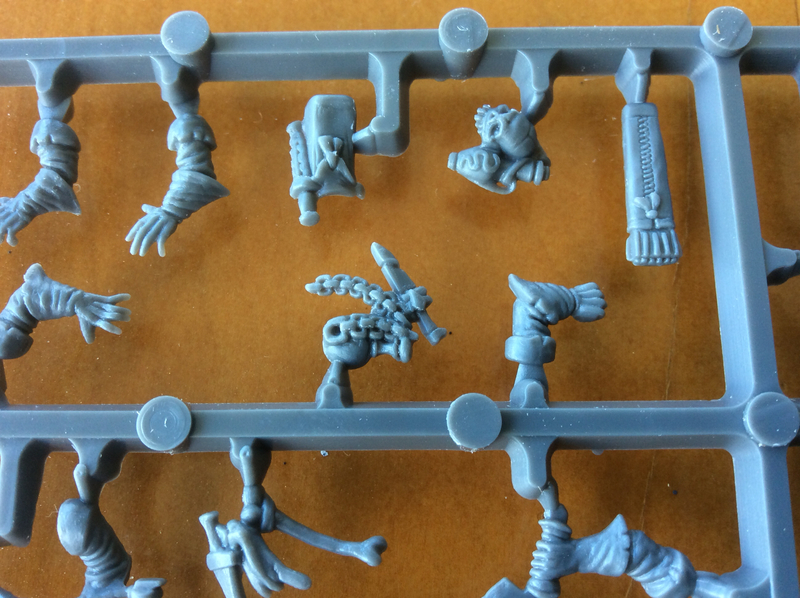 North Star games have also made some SciFi arms and weapons to add to the models if you want to take them into the Grim Dark future or a pulp period cult. A barbarian kit is coming out too isn't it? The barbarian kit came out late 2016. I have some and they are fine models. I bit less KKK than this lot. oooh I'll have to check those out thanks! In my experience, this is a great kit so far! I grabbed up some cultists and barbarians last month. Detail is fantastic, and they fit in scale with some Perry kits, Mantic undead and the like. 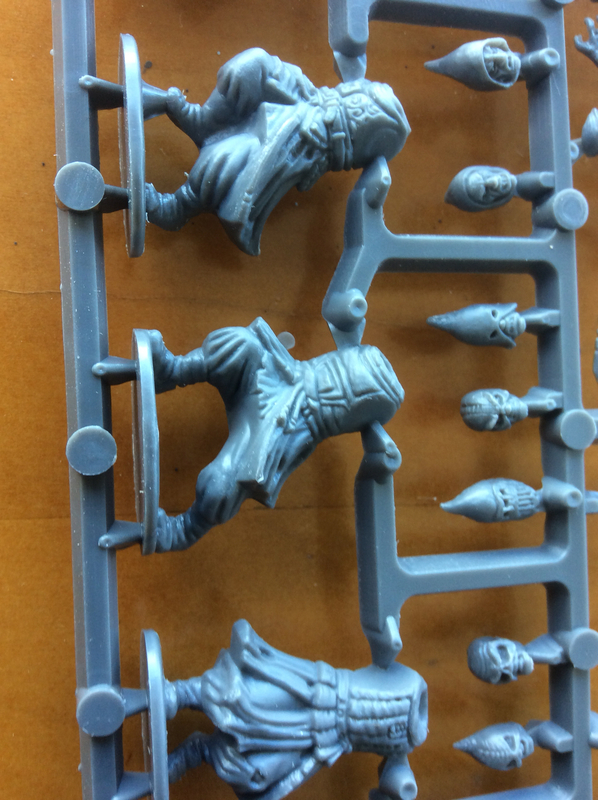 The barbarians are bulkier for sure and are good stand ins for Chaos Marauders, and even Marauder Horsemen pieces seem at home on them. Well worth the price and full of useful bits if you enjoy converting historical scale plastics.